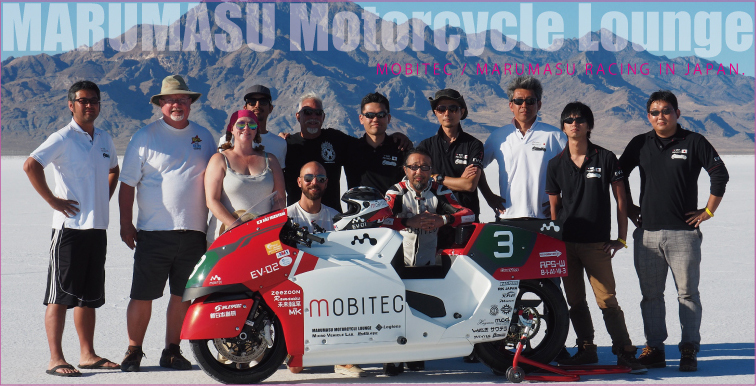 MARUMASU Motorcycle Lounge / KAZ MIZUTANI　2018 Bonneville Motorcycle Speed Trials Entry Opened ! 2018 Bonneville Motorcycle Speed Trials Entry Opened ! We've been working away over the winter and now that it's starting to warm up we wanted to let you know a few things. The 2018 AMA Bonneville Supplemental Regulations are now online! Download for free click here. Printed copies to be available soon. We want you to know that we are implementing plans to make the improvements necessary to continue our tradition of holding the premier land speed racing event for all. * 2 courses. We are planning to return to our 2 Track layout for 2018 with the International Courses (8 & 5 Mile length) track and Mountain Courses (3& 5-mile length). Salt conditions will decide where those are, and the final layout as we get closer to BMST. * Updating Pre-staging procedures. We've spent considerable time working on a revised system for Pre-Stage and run queues. Details are still being determined but our goal is to reduce wait times, provide expected wait time estimates, provide a fair and balanced distribution to start locations. With information from Tower Logs and Run Data influencing our processes, we will be updating and announcing procedures prior to the event. * Sanctioning Official's, Staff, Volunteers and Participants have been diligently communicating over the winter. With our combined resources we've discussed improvements for increased marketing plans to help drive participation levels, along with volunteer recruitment. Got extra crew? Have a friend that needs a vacation to the Bonneville Salt Flats? Want to be a part of history but you don't want to race? Not able to race this year but still want to hang out with your salt family? Sign up to help for a shift, a day, all week. Our Volunteer Page outlines the areas where we need Volunteers. This tells us you're coming, helps fund the event and means we can make sure you have everything you need to race! We've received some great suggestions and feedback from some of our participants. If you haven't let us know of an idea you have we welcome you to email us directly so that we can take your idea in consideration for our planning. You, or someone you might know, could be able to contribute to the event financially or have services that they can provide. Sponsorship helps us keep entry fees as low as possible for participants. We’re looking forward to 2018 and there area few dates you should pop onto your calendars as we kick into gear! April 15th- Registration Opens… including FIM, AMA, Run Watcha Brung and Volunteers! August 24th- VIR Pit Entry and Registration August 25th – General Entry Pits and Registration open. Scrut aneering Open August 26th- 30th Racing August 30th Awards Party. Check our website & Stay tuned to Facebook for updates! Don't forget that we have lots of information about participating at BMST on our website. We also post to Facebook when new information is available online. Looking forward to BMST 2018! Copyright © 2018 Bonneville Motorcycle Speed Trials, All rights reserved. 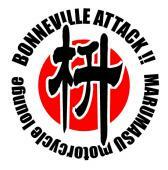 You are receiving this email because of your participation in Bonneville Motorcycle Speed Trials.